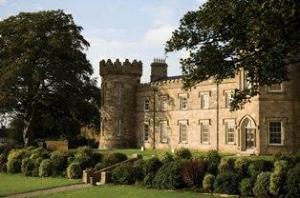 Choose from 23 hotels and guest houses in Northern Ireland. Shown below a just a selection of the hotels available. To search within an area please use the menu on the right. The Fullerton Arms is a family-run Guest Inn with a bar and restaurant, situated in the idyllic village of Ballintoy. The welcoming proprietors, Anne and Lyle Taggart, pride themselves on their continually high standards of customer service and attention to detail, which ensure that each and every guest has as enjoyable a stay as possible. This is reflected by the constantly high numbers of repeat guests and a visitors comment book to dream about. Its prominent position on the main street facing the Atlantic Ocean, provides easy access to the surrounding tourist attractions of The Giants Causeway, Carrick-A-Rede Rope Bridge, Bushmills Distillery and The Glens of Antrim, to name a few. Additionally, there is also the provision of a relaxing beer garden positioned at the back of the car park, which also boasts exceptional barbeque facilities for those warm summer evenings. The Fullerton Bar encapsulates the essence of old world charm. The fixtures and fittings combine with local personalities to create an ambience and atmosphere typical of Quality Irish Hospitality. Guests may be entertained by Paddy and Jimmy on weekday evenings, providing a range of traditional, folk and country music and accompanied by a display of Irish Dancing. Whereas, at the weekends, live bands play in the bar, suiting a wide range of musical tastes, from contemporary to modern. 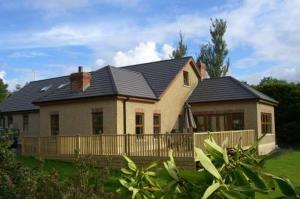 The Golden Hill is located 3.5 miles west of Omagh, on a magnificent hilltop site with panoramic views. Cosy, inviting ensuite rooms with TV and tea making facilities await you and a warm welcome is guaranteed. The Golden Hill Guesthouse, Omagh is a modern purpose-built guesthouse with 5 spacious ensuite bedrooms, centrally heated all year round, offering a welcoming respite from Northern Ireland's sometimes damp climate. Our panorama residents lounge offers magnificent views over four counties and is for the exclusive use of residents and their guests. Omagh's central location makes the Golden Hill an ideal base from which to tour not just Northern Ireland but also Donegal, Monaghan, Cavan, Leitrim and Sligo. The area boasts a number of excellent golf courses and we are happy to arrange golf packages to suit individual needs. Parties of up to 12 can be catered for. Local attractions include the Ulster American Folk Park, Fermanagh Lakes and numerous National Trust properties. Just 20 minutes from Enniskillen, this independently owned, modern, 3-star hotel offers award-winning cuisine, free Wi-Fi and newly refurbished, stylish rooms with triple glazing and flat-screen TVs. The Valley Hotel has a convenient location, in the heart of the village of Fivemiletown village, just 20 minutes from Enniskillen's town centre and 40 minutes on the A4 to the M1 motorway. The hotel is situated at the gateway to County Fermanagh, often referred to as Ireland's Lake District. Free parking is available for guests. All of the luxury, boutique-style rooms have been recently refurbished. Each room is triple-glazed, for warmth and peace and quiet. All rooms have 30-inch flat-screen TVs, hairdryers and tea/coffee making facilities. A traditional cooked Irish breakfast is included in the price. The hotel has 2 bars and an award-winning restaurant. It also holds a Welcome to Excellence Award from the Northern Ireland Tourist Board for the standard of its customer service. Near the borders of historic Fermanagh, Donegal and Leitrim, this hotel is situated in Ireland's Lake District. 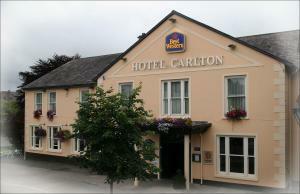 The Hotel Carlton offers a unique opportunity to experience Northern and Southern Ireland, from the lakes of Fermanagh to the glaciated valleys of Donegal and plains of Leitrim. Many activities can be arranged for you, including golfing, equestrian breaks, activity days such as canoeing, rock-climbing and caving, as well as deep-sea fishing or angling on the lakes and rivers of Fermanagh. Holiday Inn Express Antrim is located at Junction One, Ireland's largest international shopping outlet. It is 2 minutes' drive from the M2 motorway. Holiday Inn Express Antrim is a 15-minute drive from Belfast and short drives from the towns of Ballymena and Coleraine. Londonderry is not far. Belfast International Airport is less than 5 minutes away. The hotel is en route to the Causeway Coast and the beautiful Lough Neagh is a 5-minute drive. Situated in the centre of the Fermanagh Lakeland, the hotel presents itself as the ideal base from which to enjoy the delights of nearby Lough Erne, renowned for its fishing, boating and water skiing. There are many activities available for your pleasure in the surrounding area - indoors and out - just ask at reception and they will help to arrange everything for you. The hotel is also in close proximity to the Ardhowen Theatre Complex and within easy reach of one of the biggest tourist attractions in Europe - The Marble Arch Caves. In the evenings, relax in the bar and lounge areas, which have a unique atmosphere. Blessed with old world charm, they are adorned with artifacts of a bygone age that have been collected and treasured throughout the 121 years that the Mahon family have been entertaining their guests. The Chimney Corner Hotel offers excellent value for money and easy access to major roads and Belfast city centre. We have entertainment on Wed/ Thurs/ Sat nights and are situated next to playing fields and a 9-hole golf course. The management and experienced team of staff pride themselves on the personal attention given to guests by providing a comfortable home from home atmosphere. For our guests who like to relax, we have a solarium in the hotel and gardens to the rear. Laundry facilities are also available for guests' use. Wedding receptions, dinner dances and special occasions are also catered for by the hotel. With beautiful landscaped gardens, comfortable bars and lounges, we are equipped to ensure your event runs smoothly. We also provide a selection of well-appointed function and conference rooms capable of accommodating from 2 to 600 guests. They are well-equipped with electric and telephone points essential for the conference organiser and all have natural lighting. We can also provide items of audio and visual equipment to aid you in your presentation. 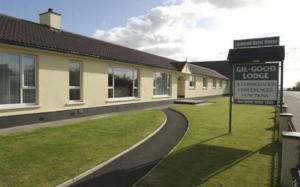 Glendarragh Valley Inn is within the beautiful countryside of Co. Fermanagh, a short walk from the local town. The hotel has a restaurant and relaxing rooms with free Wi-Fi. Ederney is about 15 miles (24 km) from Enniskillen, which is about 30 minutes' drive. Glendarragh Valley Inn is ideal for a quiet break, where you can enjoy friendly service, a homely atmosphere and well-equipped, en suite rooms. The restaurant serves good meals every day from its ? la carte and bistro menus. Surrounded by a beautiful garden, this charming bed and breakfast has an idyllic setting in County Down, just a stone's throw away from the racecourse and golf club. Close to Lisburn city, Hillsborough, Moira and Sprucefield shopping centre, the Down Royal House is a great base from which to explore the surrounding region. 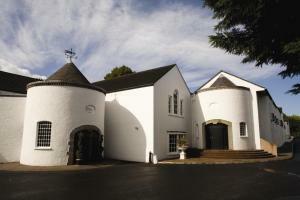 Easily accessible, it is close to the A1 Belfast-to-Dublin road and the M1 motorway to Belfast. It is also just 30 minutes' drive from the 2 main airports. All of the rooms are en suite and feature a flat-screen TV. A disabled room is available on request. For your convenience, there is free wireless internet access and a PC and printer available for your use. In its own grounds on the edge of Enniskillen, the Belmore Court & Motel offers free parking and free Wi-Fi, with a choice of modern hotel-style rooms and self-catering apartments. The Belmore Court & Motel offers a range of accommodation to suit the needs and budget of any visitor. The new Belmore Court has 30 modern superior and executive en suite rooms. Stylish luxurious and spacious, all of these rooms are finished to the highest standards. Located beside Belmore Court, the Belmore Motel is an original building dating back to the 1950s. Quaint and stylish, the motel consists of 8 town houses that have been tastefully converted into high-quality one- and two-bedroom apartments. 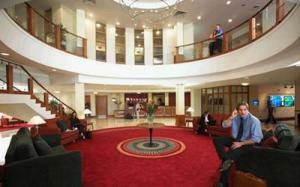 Guests can also make use of all of the facilities of Belmore Court. Most of the apartments have mini-kitchens and the rest have tea/coffee making facilities. All rooms have en suite bathrooms, multi-channel TVs, telephones, free Wi-Fi and a mini-kitchen or tea/coffee making facilities. 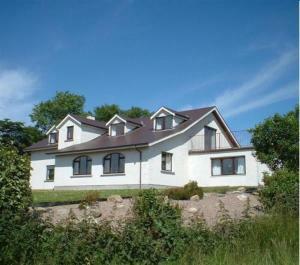 Located beside a working dairy farm, this newly built luxury accommodation is 10 miles (16 km) south of Belfast city centre, off the main Belfast/Dublin Road (A1). Dunhill Cottage B&B is 5 minutes' walk from the pretty village of Hillsborough, and has a peaceful, rural setting. All of the rooms are en suite and have free Wi-Fi access. Secure off-road parking is available and pets are welcome. A 5-minute drive will bring you to Sprucefield Shopping Centre and Lisburn town centre. The Outlet at Banbridge is a 20-minute drive away. 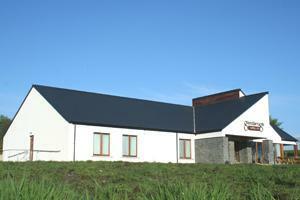 Dunhill Cottage can provide airport pick-ups, evening meals (on request) and discount vouchers for local restaurants. The good-value, friendly Westville Hotel offers central, convenient, luxurious facilities within walking distance of Enniskillen town centre. It has free Wi-Fi, free parking and live entertainment at weekends. The WV Bar has a tasty all-day menu, and Terrace Restaurant is open each evening and provides full Irish breakfast each morning. The Westville Hotel has tastefully decorated, spacious bedrooms that are perfect for business and leisure. 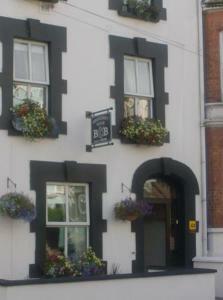 Rooms are en suite and have free internet access, tea/coffee, mineral water and multi-channel TVs.